In the last few weeks before I was due to go back to work we had a little family break, first we popped down to devon for 4 days, then another few in Wiltshire on the way back. The weather throughout the holiday was perfect with lots of clear sunny days. Whilst in Wiltshire I couldn’t resist having a little fly of the Dynamic-S, which I don’t think I’ve flown since 2015! It flew, as ever, brilliantly. There wasn’t enough wind to venture onto the slope, but on the flat field at the top of the White Horse hill I had a lot of fun while my daughter looked on. 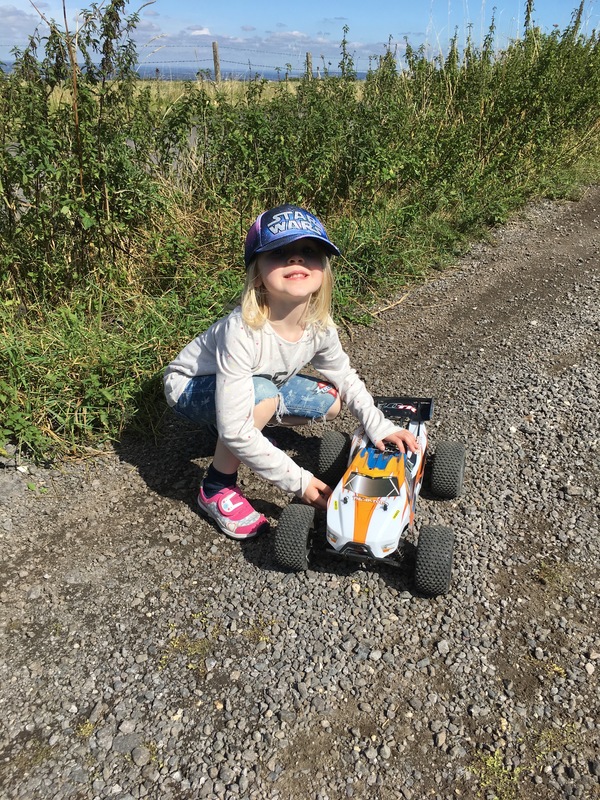 After waiting to patiently while I put a few packs through the Dynamic, we couldn’t resist putting a pack through our new RC car on the way back home. Â The Dominus worked well on the gravel track, with the Daughter slowly getting to grips with the steering!